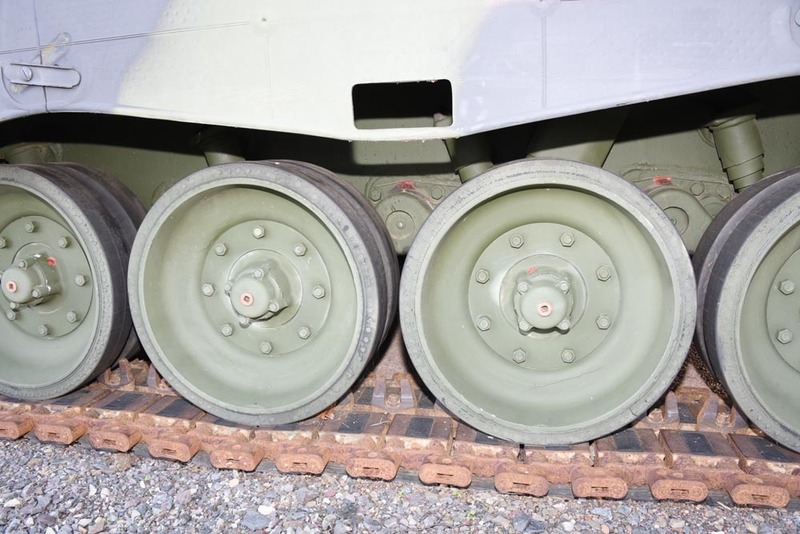 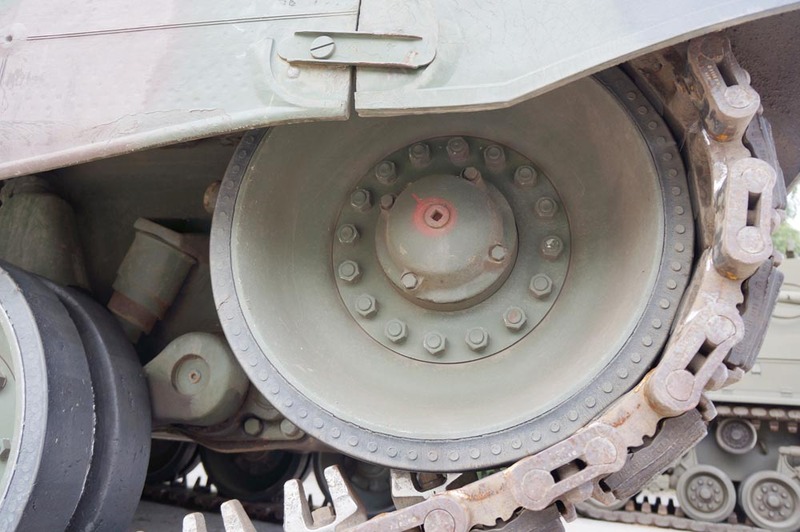 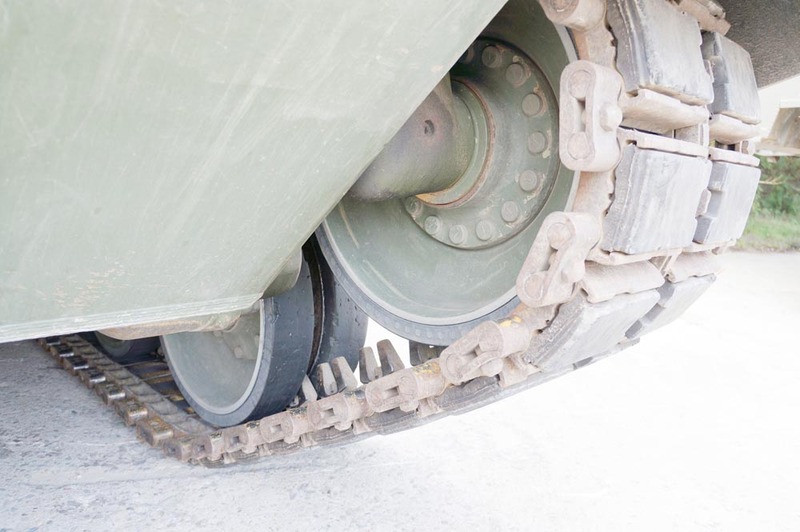 Many Leopard 1 wheels had 'dimples' around the circumference of the rubber tyres. 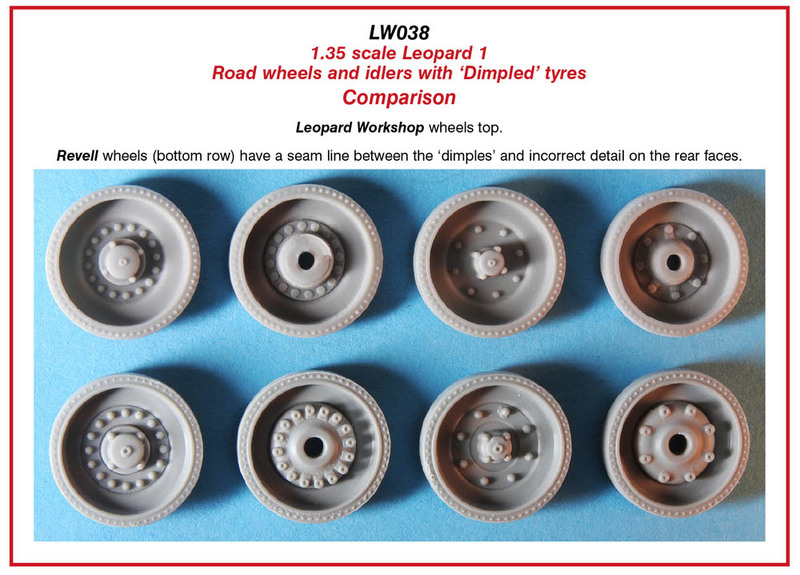 Revell included these in their 'Early Leopard 1' kit but they were joined together by an incorrect seam line and have the wrong pattern on the rear faces of the wheels. 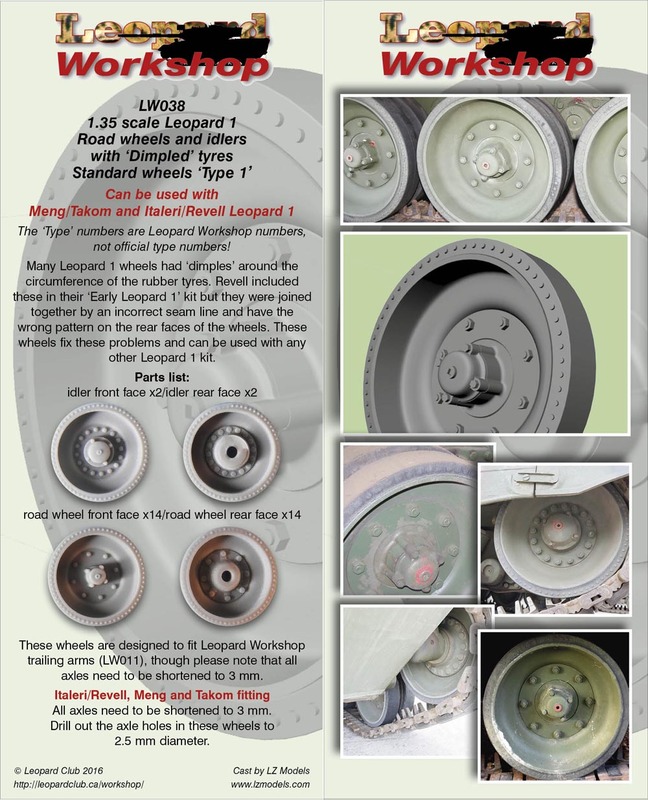 These wheels fix these problems and can be used with any other Leopard 1 kit. 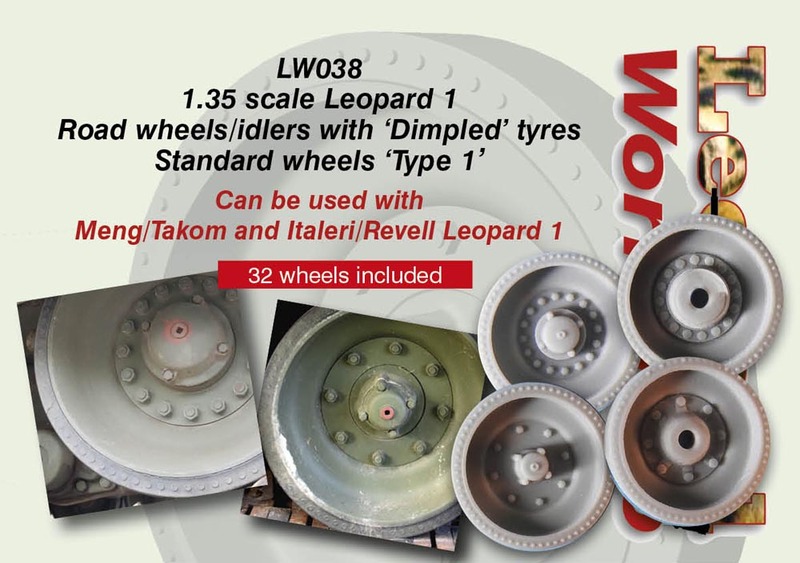 These wheels can be used as a standalone set to equip one tank, or they can be mixed and matched with any other of the Leopard Workshop sets of Leopard 1 wheels. 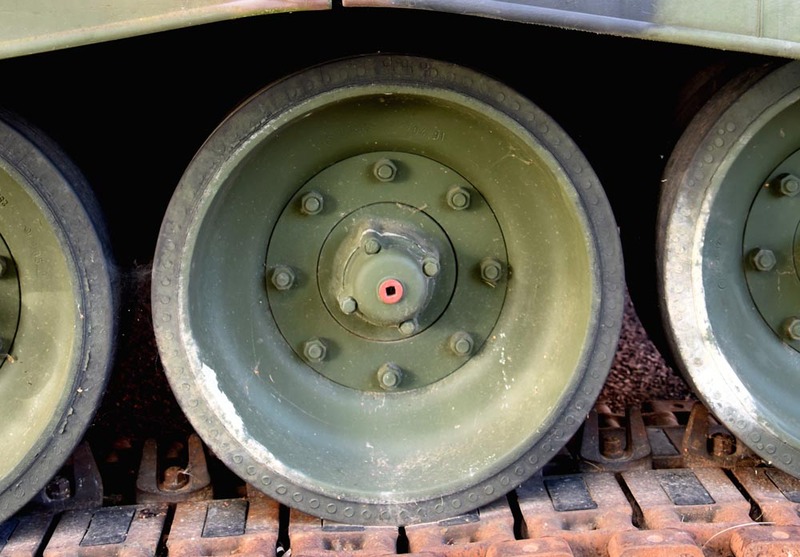 These wheels are designed to fit Leopard Workshop trailing arms (LW011), though please note that all axles need to be shortened to 3 mm. 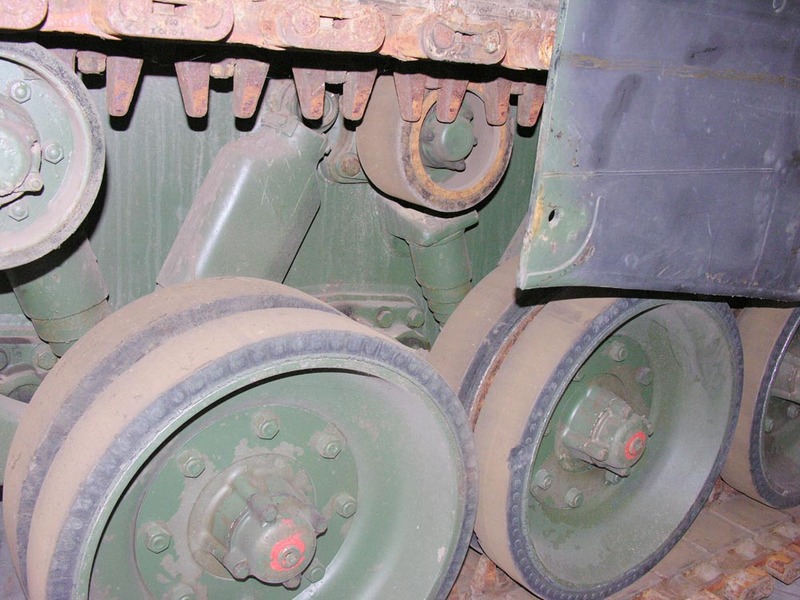 All axles need to be shortened to 3 mm. 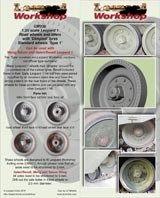 Drill out the axle holes in these wheels to 2.5 mm diameter.